the oldest Catholic High School in South Jersey, founded in 1887 by the Sisters of Mercy. settled in the thriving South Jersey community of Cherry Hill in 1962.
a co-educational college preparatory school with an enrollment of approximately 750 students. a diverse community committed to developing leaders who are rooted in Gospel values and committed to meeting the challenges of building a just society. the Alma Mater of over 16,000 living graduates and over 20,000 total graduates since its founding. At present, Camden Catholic offers 11 Advanced Placement courses; additionally, all of the AP classes are offered through Virtual High School. There are also 26 Honors courses. Five classes are given college credit through Camden County College Dual Credit Program; three classes are given college credit through Seton Hall’s Project Acceleration as well as a multitude of courses through Virtual High School. All faculty members of Camden Catholic possess bachelor’s degrees. 49% Have advanced degrees; multiple Master’s degrees, a Juris Doctorate and Doctorate degrees included, while others are pursuing advanced degrees. SAT scores for the top 25% of the Class of 2017 (mean average): 630 Critical Reading and 630 Math. Camden Catholic is renowned for its fall drama production, spring musical, select and concert choirs, and an instrumental music program that includes a concert band, show band, field band, jazz band, and fusion band. A selection of extracurricular activities include TV Studio, Media and Technology Crew, Yearbook, Creative Writing Club, Student Government, Environmental Club, Photography Club, Rutgers Academic Challenge, and Students Against Destructive Decisions. 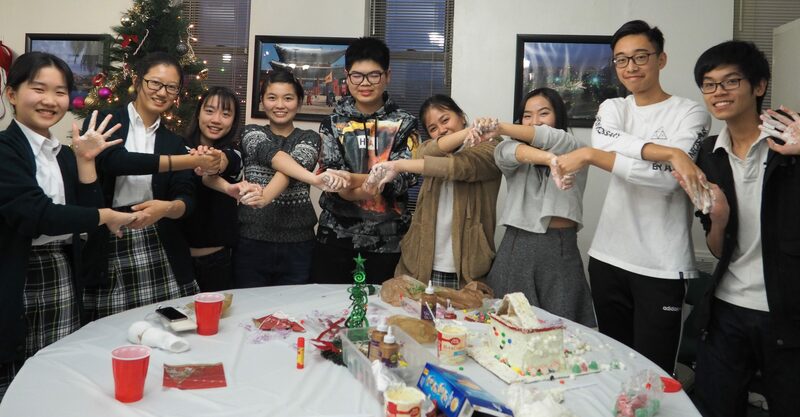 On average, students log in more than 24,000 hours of community service each year through the school’s “Learning to Serve, Serving to Learn” program. 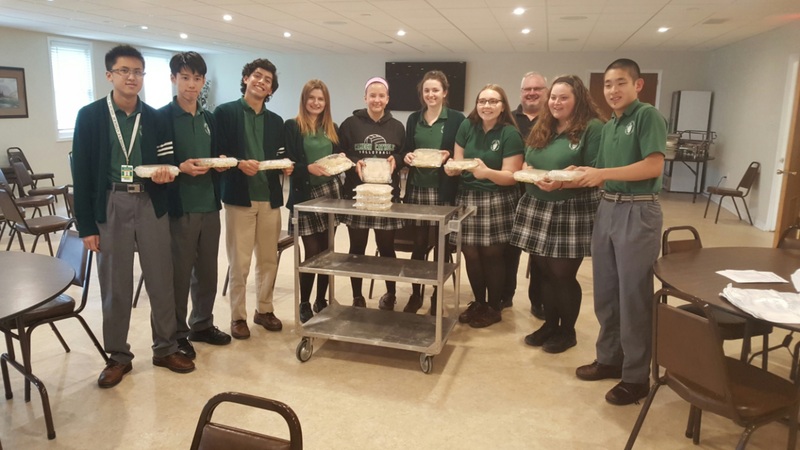 All Camden Catholic students complete 80 hours of service learning through Campus Ministry in order to graduate. All project hours address areas of need ranging from the school to individuals’ home communities and parishes, to work with the poor, the elderly, youth, and social service agencies. 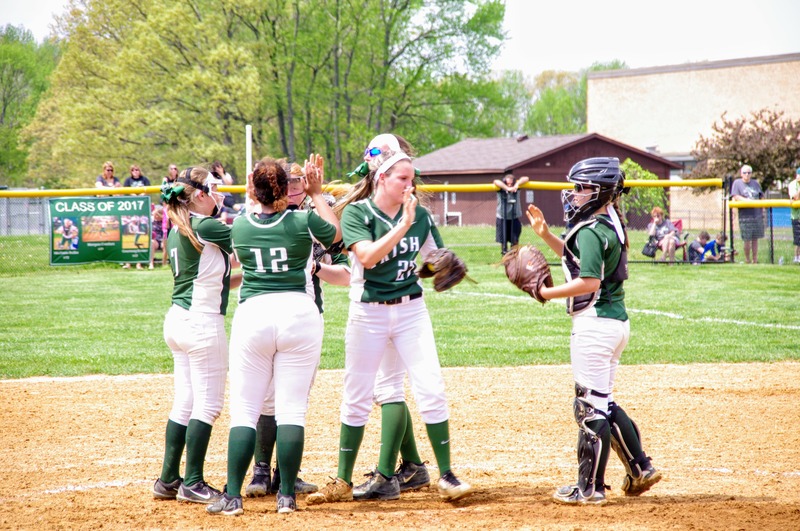 Nearly 62% of Camden Catholic students participate in athletics, which is an essential element of the balanced college preparatory curriculum that develops the body, mind, and spirit. Camden Catholic offers 10 boys’ and 10 girls’ varsity sports. The majority of athletic teams also offer junior varsity and freshman programs. The Fighting Irish are perennial State Championship contenders. Students are permitted to bring their own laptop or tablet to use for academic purposes. 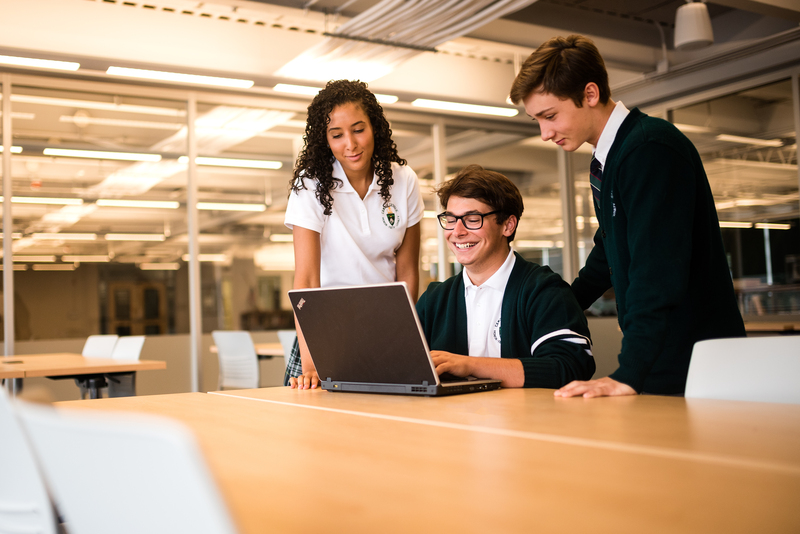 Camden Catholic’s Technology Committee is implementing a long-term plan to equip the school with a full complement of technological aids, including a growing number of mobile laptop labs, the expansion of the four current computer labs, and new additions to the current 200 desktop computers throughout the school. CCHS offers the “Family Laptop Program”, the next step in our continual effort to challenge students to excel academically. Since the cost of laptops has reduced significantly, Camden Catholic families are invited to purchase laptop computers for their student’s use during the school day. Each teacher shall devise a set of rules for laptop use that best integrates with his/her individual subject areas and class requirements. The laptop program is an option to pursue, not a requirement that must be fulfilled. However, the full integration of the computer into a student’s learning is essential for collegiate life in the 21st century. The pace and extent of how this tool is developed varies from student to student and from family to family. Camden Catholic’s beautifully maintained campus covers 33 acres in suburban Cherry Hill. It includes a football field (multipurpose synthetic turf), field hockey field, baseball and softball fields, lacrosse field, a gymnasium, chapel, television studio, auditorium, and technology labs. 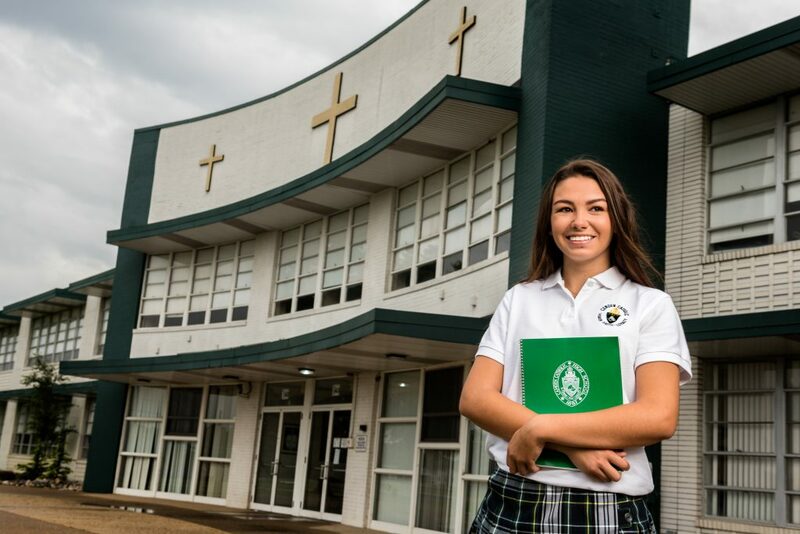 Camden Catholic’s approximately 750 students come from more than 70 communities throughout South Jersey, the Philadelphia area and internationally. 40% come from public schools. There are 118 sending elementary schools and 54 transfer high schools represented. During the typical school year, Camden Catholic offers educational trips to locations such as France, Spain, England, and Canada. * Scholarship amount reflects outright financial offers and does not include government and institutional loan offers.